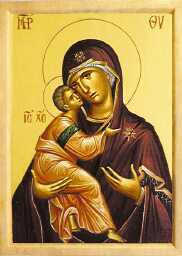 Orthodox Reading Room - Learn more about Orthodox Christianity at the Orthodox Reading Room. A complete library of Orthodox Christianity provided by the American Carpatho-Russian Orthodox Diocese of the U.S.A.
Daily Prayers - The text of Morning, Evening Prayers according to the usage of the American Carpatho-Russian Orthodox Diocese of the U.S.A. From the Come to Me Prayer Book and other sources. Liturgical Texts - The text of the Divine Liturgy of St. John Chrysostom and Great Vespers for Saturday Evenings Without Litya according to the usage of the American Carpatho-Russian Orthodox Diocese of the U.S.A., as well as links for litugical texts used throughout the course of the year, including the Triodion, Menaion, Pentecostarion. Liturgical Music/Plain Chant - Learn more about the origins of the Plain Chant, listen to recordings of the Plain Chant, and download music or purchase liturgical texts and service books. Live Broadcasts - View live and archived broadcasts of the Sunday Divine Liturgy and other services from Christ the Saviour Cathedral in Johnstown, PA.
Icon Gallery - A collection of icons from churches and institutions of the American Carpatho-Russian Orthodox Diocese of the USA. The Arena - An online gathering place for Orthodox Christian Youth. Read articles and view videos on topics of interest to youth. Express your opinion or share an experience through a blog forum, The Witness Stand. Find links to Camp Nazareth, the OCF, or Jr. ACRY. Diocesan Apostolate For Youth - The home page of the Diocesan Apostolate For Youth. It includes resources for youth workers, parents and pastors. Orthodox Goods - Purchase items from Christ the Saviour Seminary Bookstore, Gloria Incense and The Liturgical Publications Department of the Diocesan Chancery at the official on-line store of the American Carpatho-Russian Orthodox Diocese of the USA. Canonical Orthodox Christianity - Find links to canonical Orthodox Christian jurisdictions in the United States and Canada. Orthodox Links - An extensive collection of Orthodox Christian Links compiled by Deacon Michael Rustick of St. John the Baptist Church of Rahway, N.J.
Daily Scripture Reading - Daily Scripture readings of the Orthodox Church, both Old (Julian) and New (Revised Julian) Calendars.